Glaciers covering Asia’s Tian Shan mountains have lost a quarter of their mass over the past 50 years, at a rate four times higher than the global average due to the particularly dry climate of the area. At this rate, by 2050 half of the remaining ice that covers the 2,500 kilometers long mountain rage could melt, threatening the water supply and affecting millions of people. If left unchecked, the situation might even turn into a conflict for the most basic resources (water and food). Glaciologist Daniel Farinotti and his team used both satellite imagery and on-site samples to study the state of the Tian Shan glaciers – which are poorly documented, despite their importance. Data from the Gravity Recovery And Climate Experiment (GRACE) and the NASA’s Ice, Cloud and Land Elevation Satellite (ICESat) satellites were employed, then fed into a model. 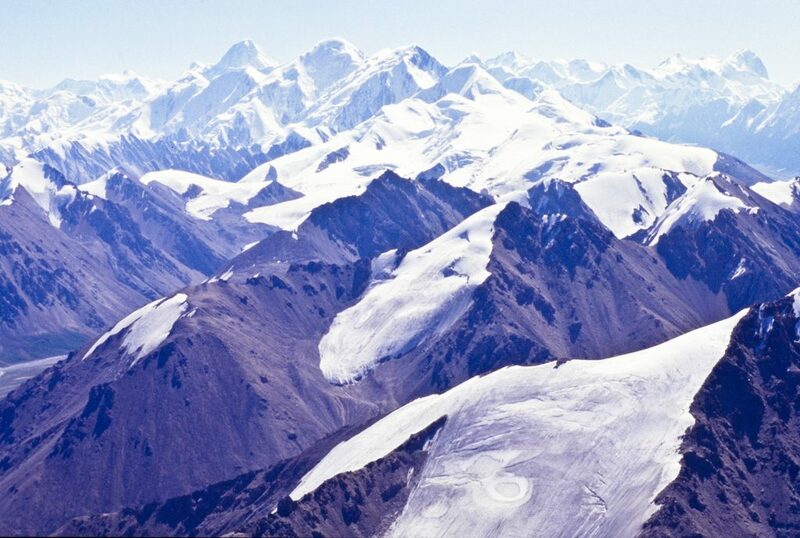 This allowed them to re-construct how the Tian Shan glaciers have changed in mass from 1961 to 2012. On average, the glaciers lost 5.4 billion tons per year. Global warming has been identified by the researchers as the likely cause for the dramatic loss in ice mass. The unusually high rate of ice loss, however, is due to the region’s sensitive climate. Their models suggest that summer temperatures will continue to rise in the coming decades, as reported in Nature Geoscience. For the millions of people depending on snow or ice melt as their water supply, this (old) news should spur them into anticipatory action.